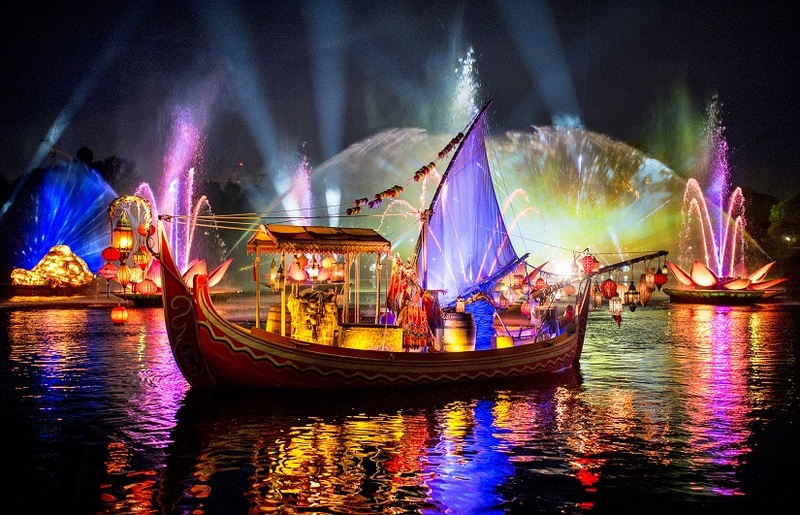 Rivers of Light, the all-new nighttime show at Disney’s Animal Kingdom Theme Park, will officially debut to Walt Disney World Resort Guests on Friday, February 17, 2017. 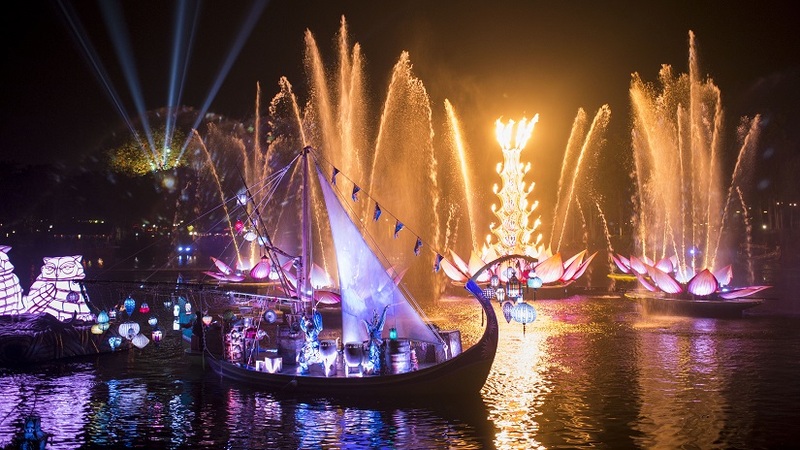 Rich in symbolism and storytelling, the elaborate theatrical production takes guests on a breathtaking emotional journey that includes a visual mix of water, fire, nature, and light all choreographed to an original musical score. 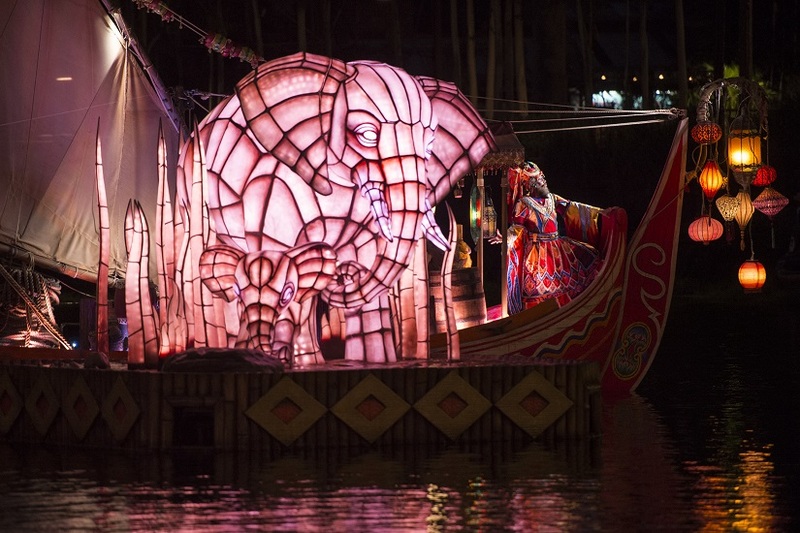 The 15-minute show is the latest addition to the lineup of nighttime experiences available at Disney’s Animal Kingdom. 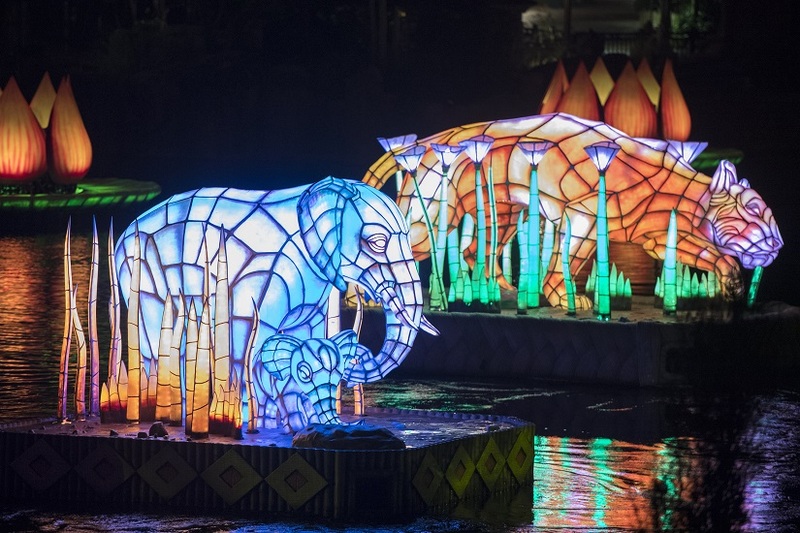 Celebrating the majesty of nature and the connection between animals and humans in the world we all live in, the performance combines live performers, beautiful floating lanterns, glistening fountains, special effects and authentic animal imagery projected on giant water screens. As the sun sets, guests gather along the picturesque edge of the Discovery River at a new 5,000-seat amphitheater, which welcomes guests to two distinct “villages” separated by a bridge and the river. Sounds of animals are heard from a nearby forest, and magical fireflies descend from the Tree of Life toward the lagoon, creating a sense of wonder as four illuminated Lotus flowers float across the water. 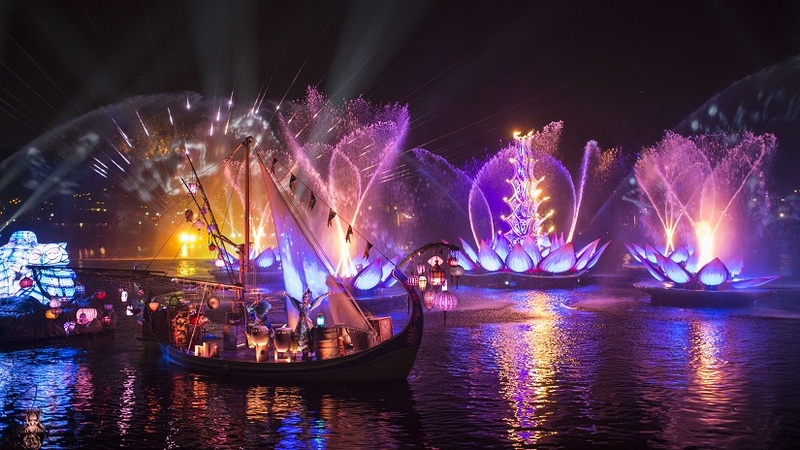 Following its February 17 premiere, Rivers of Light will be performed on select nights.